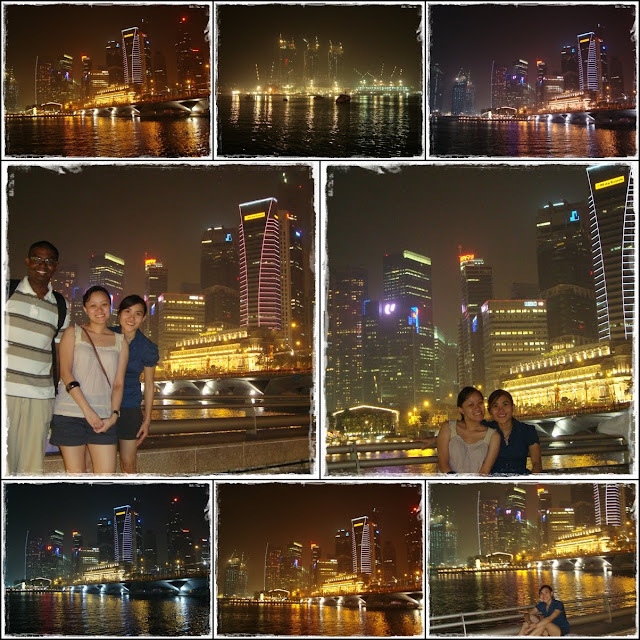 Was out of town last few days travelling around Singapore with Rachel and Joshua. We planned this trip earlier on as our 'post-exam-destress-escapade', after weeks of being zombies studying for our exams. 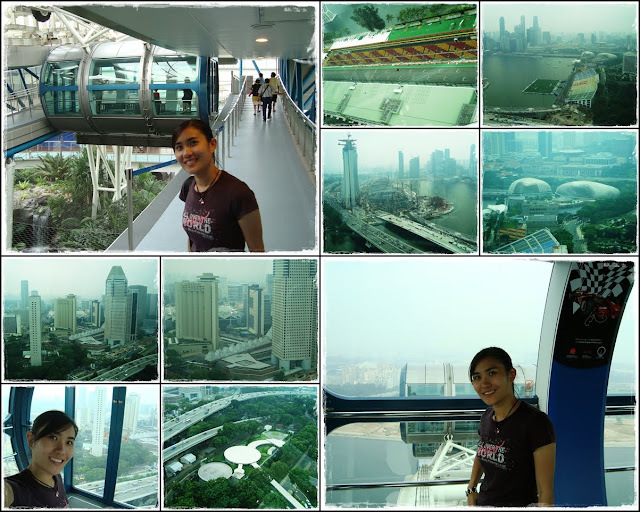 Even though Singapore is so near to Malaysia, this was only my 3rd time visiting Singapore...and the last time I was there was 10 years ago! Of course, this doesn't include my short 'visits' to Changi airport during my transits...hehe! This time we got our return airtickets for only RM95...so cheap right!! 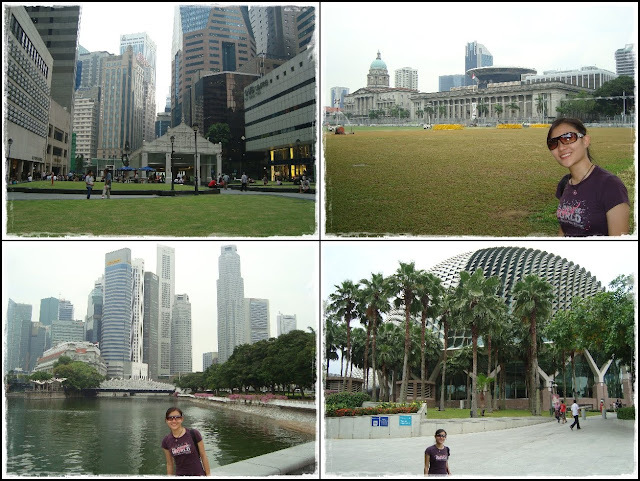 It has been a long time since the last time I went to Sg and itz hard to imagine how much it has changed in 10 years. 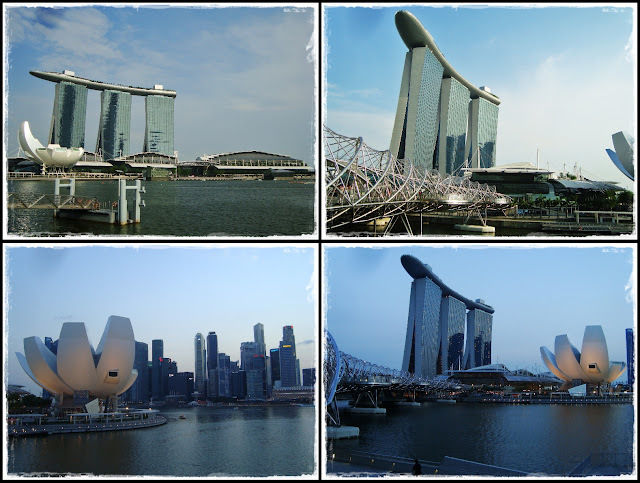 I've always admired Singapore's development...it is such a small country but everyone knows about this tiny little country in Asia. This was apparent especially when I was in the States, many people doesn't know where Malaysia is, so I just asked if they know where Thailand and Singapore is...and I'll say Malaysia is right in between this 2 countries...haha! One thing I like about this place is...everywhere is soooo clean...even the streets! 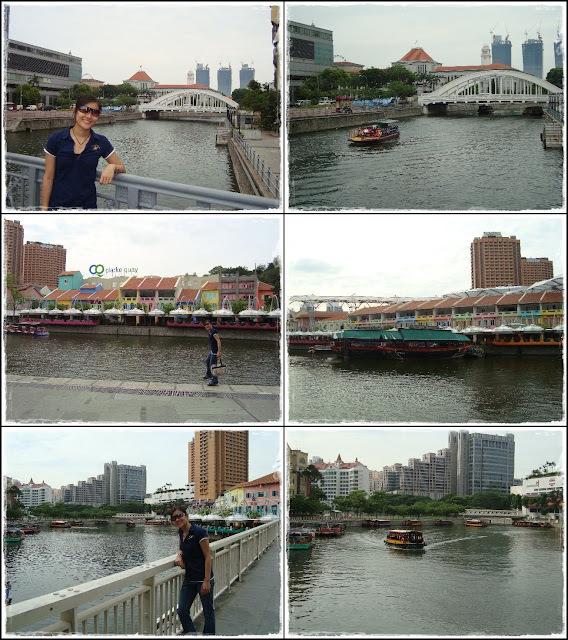 I've mentioned before that I love the cities...so the 3 days' trip was mainly about sightseeing...traveling around the city in MRT, buses, and walking...juz like the locals. Getting around was easy coz the public transports are so convenient and systematic. We also walked quite a good bit in 3 days that I had blisters on my foot and my leg still hurts now from all the walking. I've got some friends studying there but I only managed to meet up with ShuLing in NUS. 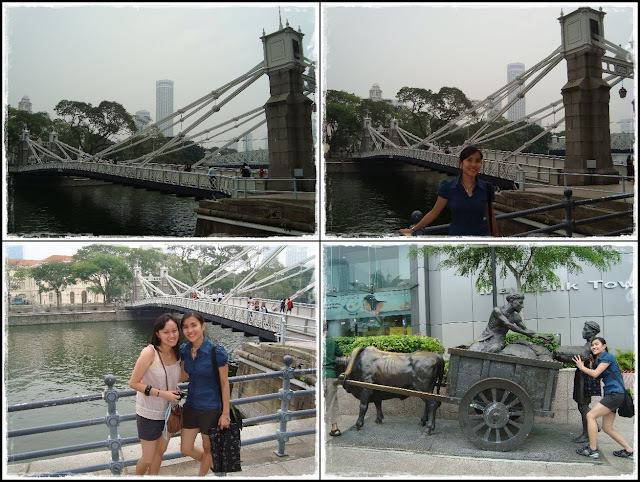 My 2 travel buddies...we looked so touristy. 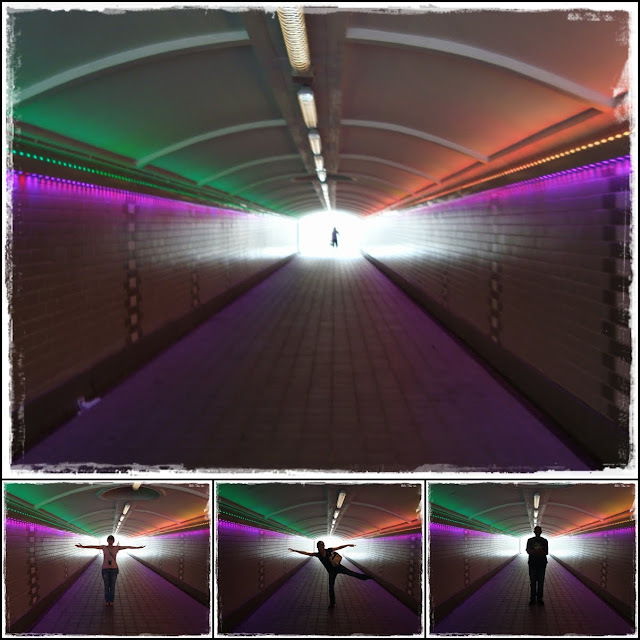 The first picture that we took in this underground tunnel turned out really cool so we decided to fool around with more poses...hehe!! 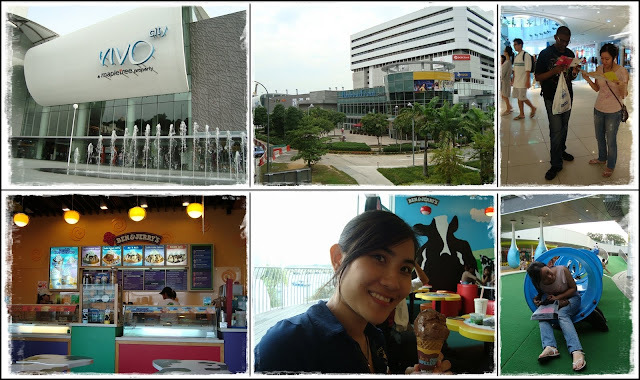 Vivo City...jalan-jalan and had Ben & Jerry's ice cream! 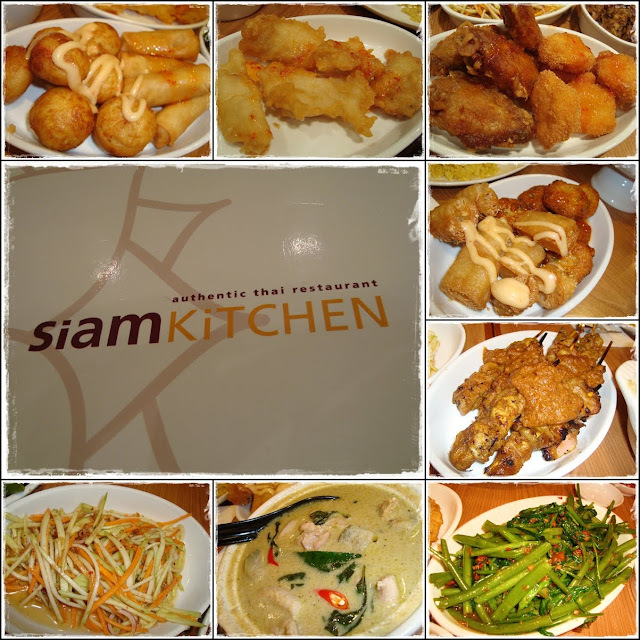 Rachel's uncle gave us a treat at this Thai food restaurant...yummy! This is just the beginning of our obsession with this 'Durian'...haha!! 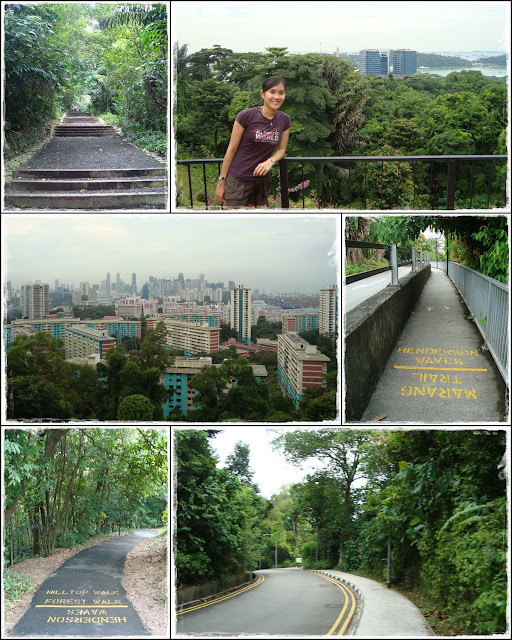 Of all places to go...we went for hiking in Singapore...I'm not kidding...haha!! The whole journey was about 2km...took us about 1.5 hour...luckily the weather was nice. 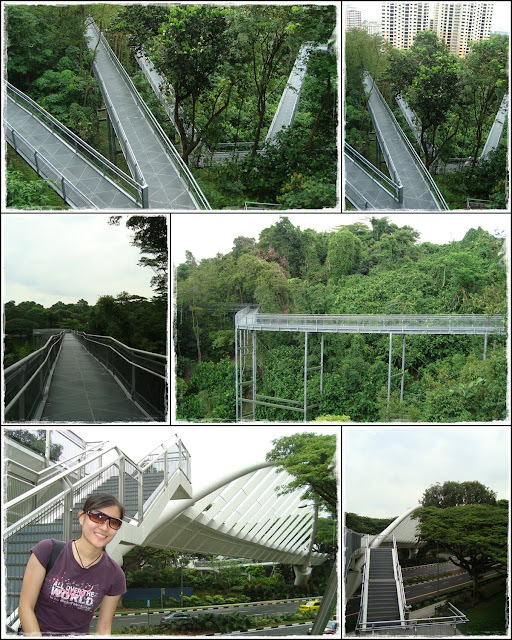 We took so much effort just to see this bridge...the architecture is pretty cool! Forest Walk...another trail that we passed by during the hiking. 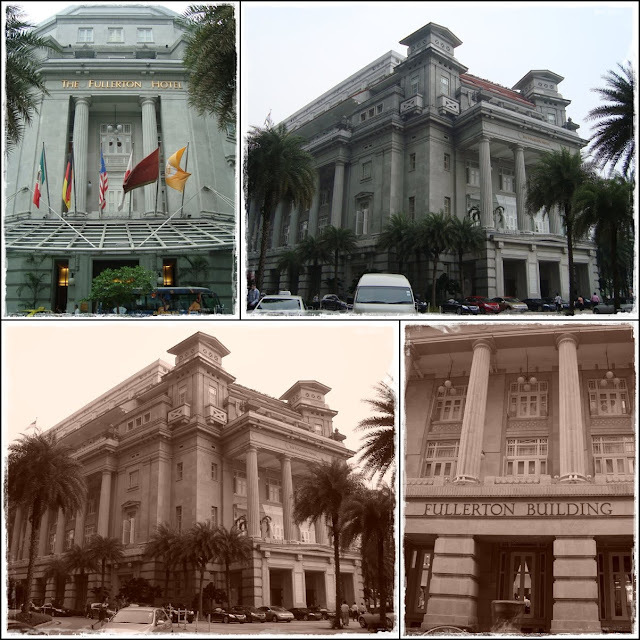 Some random pics of the city. There were still lotsa fencing along the roads coz F1 was just over last weekend. 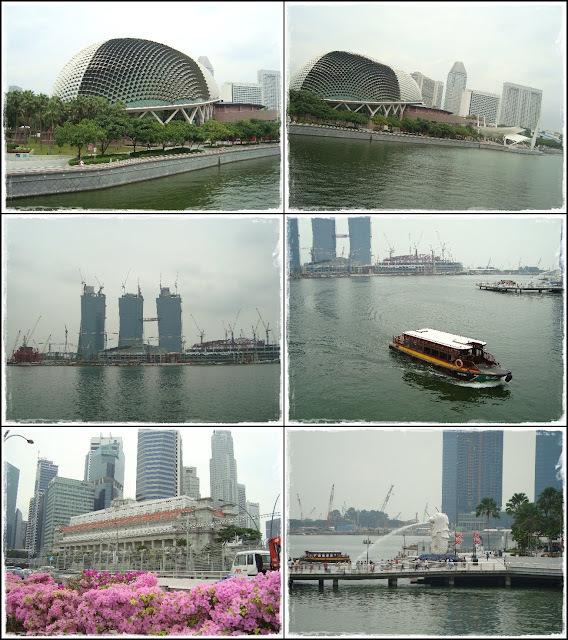 Day view of the 'Durian', Fullerton Hotel, Merlion, and the Marina Sands Bay that is still under construction. I loveeee these pics!! I told ya...we're obsessed with the Durian...hahaha!! This trip was supposed to be meant for de-stress...but it seems we were even more tired because of all the walking. At least, we accomplished each of our 'missions' in 3 days. Our 1-week break is coming to an end...time to get back to college for revision classes. I'm so not in the mood to start my revision yet!! 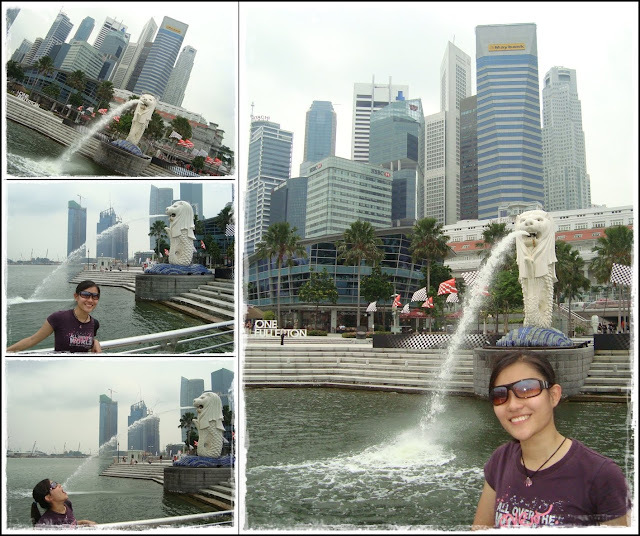 For my last few trips to Singapore, I didn't thought about visiting Sentosa coz I didn't plan to go to Universal Studios. 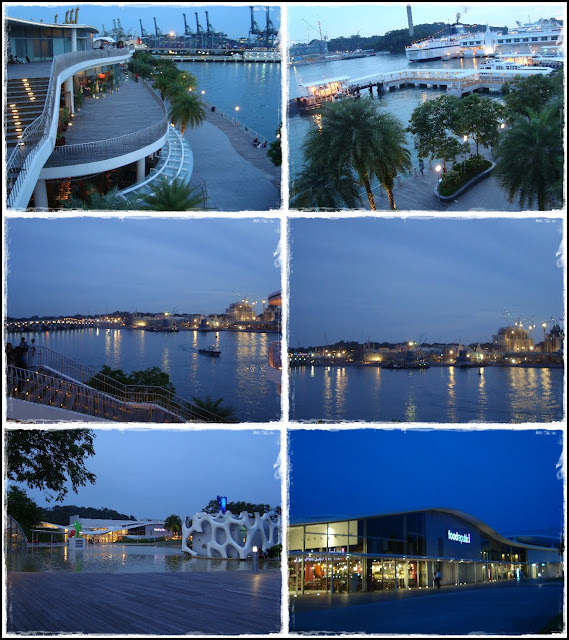 But Rachel visited Sentosa few weeks ago and said that there were quite a lot of fun stuffs to do there and after looking up online, I decided to make a trip there this time to tryout some rides. Palawan Beach @ Sentosa Island. See the dark clouds there?? The Southern Most Point in continental Asia. And then it started pouring...what a day to be at the 'beach'...lol!! Luckily the rain stopped after a while...time to hit some 'waves' at Wavehouse Sentosa!! 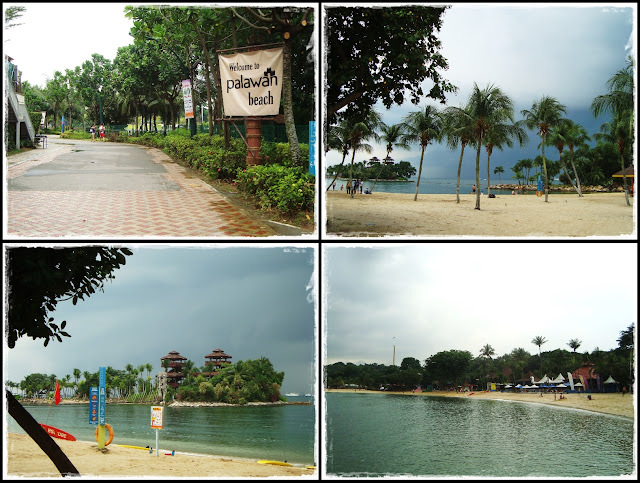 The one thing that I wanted to try most in Sentosa was surfing. I've never surfed before coz there's nowhere to surf in Malaysia so I reckon this would be a good time to pick up some surfing skills...haha!! 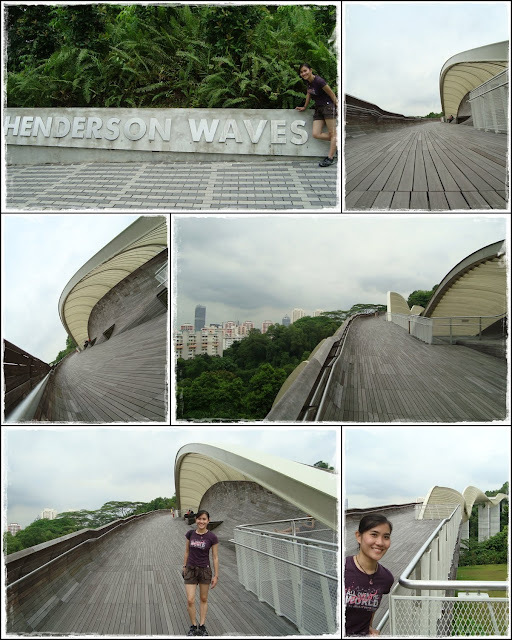 I also remembered Allan Wu sharing about this Wavehouse in Singapore on his blog and it looked pretty fun! Also tried out the Luge and Skyride (highly recommended by Rachel). After a whole day of fun, we had our dinner at Din Tai Fung. The Xiao Long Bao wasn't as good as the ones we had in Shanghai though. Checked into Carlton Hotel before continuing my sightseeing on Sunday. YuHan & Rae came over to the hotel for a mini UGRAD gathering. 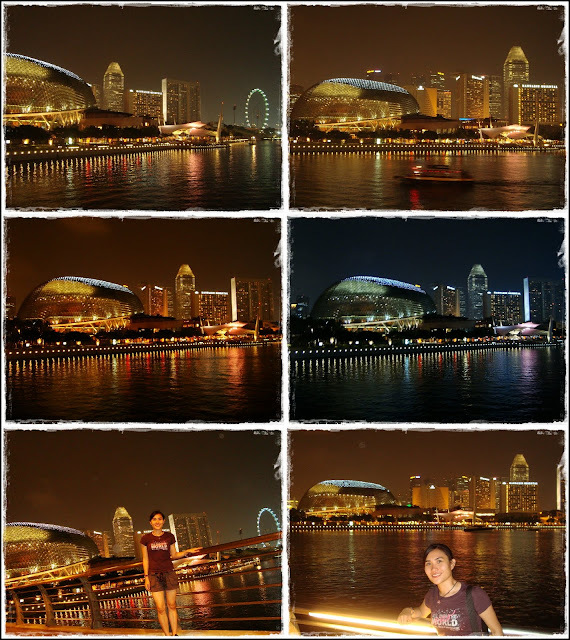 Walked all the way from the hotel to MBS. 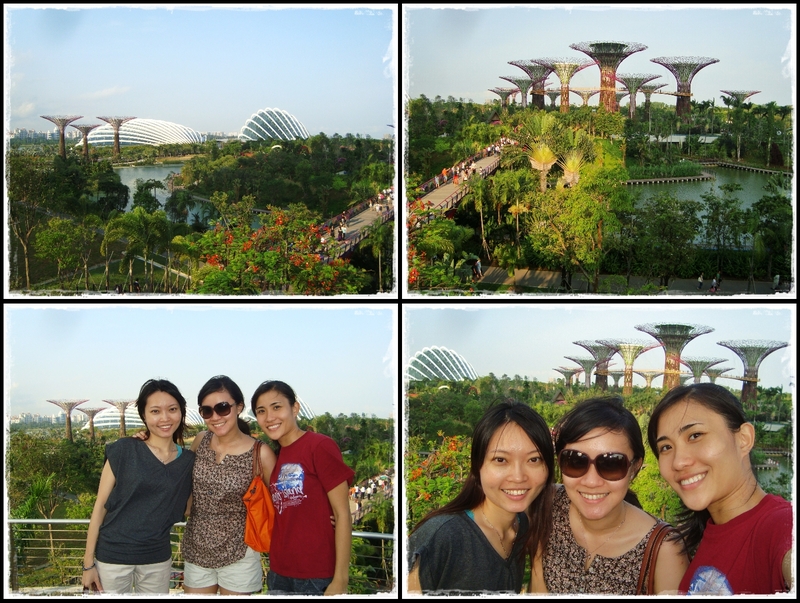 Walked till Gardens by the Bay...new attraction but we only took pic from far...I'm not a fan of flowers and plants. 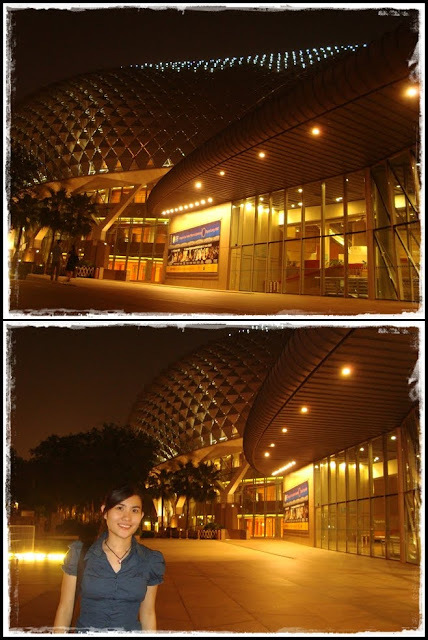 The 2 pics at the bottom is to show my frustration for asking people to help take pictures...you see what I mean??? We decided to call it a day earlier and went back to the hotel to watch Lee Chong Wei's final against Lin Dan...ended up shouting like crazy people in the hotel room...lol!! After a weekend of fun, it was time for our 3-days training. 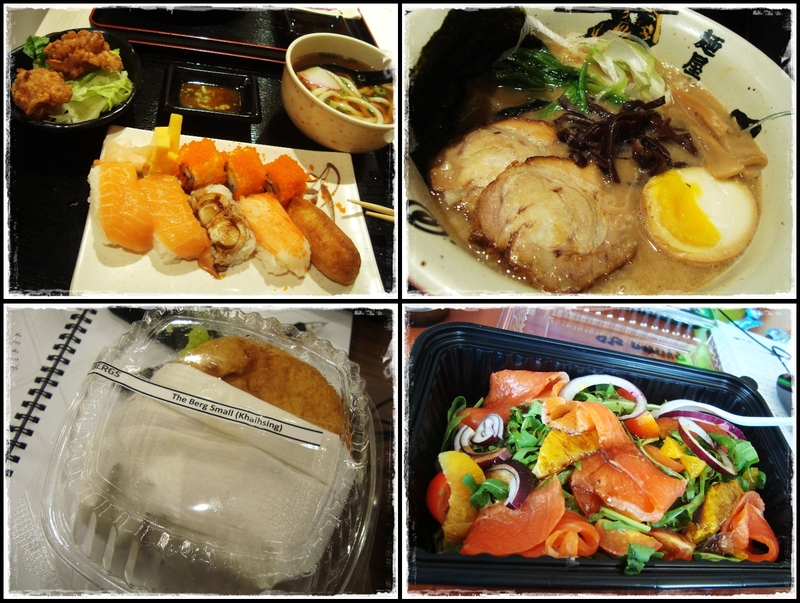 Ordered in Quiznos, Berg and Italian for lunch and had Jap food for dinner...yummy!! Aight that's all for my short SG work + play trip! !